Canberra’s coolest film festival. With winter well and truly underway, shirk the cold and seek shelter at the cinema for the 2017 Scandinavian Film Festival. Running from the 18th of July until the 2nd of August, why not escape the Canberra cold and sample Scandinavia’s cultural climate? Go on. Go north. Bookended by opening and closing night special events, the festival will also feature a mid-festival special screening. Opening tonight (18/7/17) with Finland’s The Other Side of Hope – a redemptive refugee tale of cultural collision, harmony and hope in Helsinki – Palace Electric will screen the film at 7:30pm. Get your pre-film elderflower cocktail upon arrival from 7:00pm. An after-party featuring Scandivanian musical stylings and traditional smørrebrød will follow the feature. Finnish fare will feature yet again on Wednesday 26th of July with the special event screening of Tom of Finland – biopic on the acclaimed and revolutionary artist Touko Laaksonen. Enjoy a Red Finnish cocktail upon arrival and pre-film tunes from 6:45pm; screening at 7:30pm. Closing night on Wednesday 2nd of August brings us Swedish selection A Hustler’s Diary – an existential rags-to-riches comedy-drama-conundrum from Croatian/Swedish director Ivica Zubak, and steered by actor Can Demitras who plays a petty criminal of Turkish descent struggling to get by in modern-day Stockholm. Enjoy a Swedish Mule cocktail upon arrival from 7:00pm; film commences at 7:15pm. Centrepiece film The King’s Choice from Norway, spotlights a crucial crossroads in the history of the region. During WWII, the sudden invasion of Norway by German forces presented the then monarch with a perilous predicament and a terrible ultimatum. This fascinating aspect of WWII history is not commonly explored this side of the equator. Shortlisted in the final eight nominees for the 2017 Academy Award for Best Foreign Film. 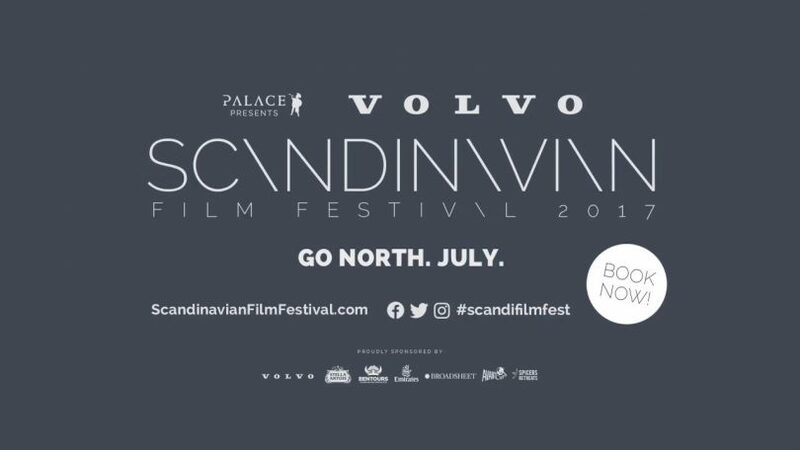 The festival boasts numerous Nordic films flying the flag for each of the five nations: Denmark, Sweden and Norway (historical members of the Kingdom of Scandinavia), as well as Finland and Iceland. With three sessions most weekdays (four on Saturdays and Sundays), there are 20 features to enjoy: eight Danish, five Norwegian, three Swedish, three Finnish and one Icelandic. It’s no surprise who is most strongly represented. A trendsetter of the TV/film landscape, Denmark consistently punches above its weight and churns out quality content which truly belies the country’s size. Two exciting premieres are set to grace our screens during the festival. A Conspiracy of Faith, following The Keeper of Lost Causes and The Absent One, is the latest installment in the Department Q series adapted from the novels by Jussi Adler-Olsen. Having enjoyed the best opening of a local film in Denmark for 15 years, the detective thriller is a must for fans of Nordic noir. Darkland looks equally promising as a moody crime piece which has been lauded for its portrayal of the gritty realities of Copenhagen. Noted for its portrayal of the “overworld” and “underworld”, its multi-ethnic and socially sharp perspective takes cues from Danish agent provocateur Nicolas Winding Refn’s (Drive) groundbreaking Pusher. Heartstone, a winner of 26 international awards and the sole Icelandic entry in the festival is a complete change of pace and looks a real gem which explores the nascent sexuality and blossoming maturity of a group of youths over one idyllic summer in a small Icelandic village. Celebrated for its tone and cinematography, it has been heralded a moving and nostalgic ode to youth. For a unique film experience about a topic which has sadly proved all too familiar throughout history, see Sweden’s Sami Blood. It follows the story of a 1930s female reindeer-herder (played by a real-life reindeer-herder) forced into Swedish integration at the expense of her own Sami culture. This historical drama about identity, discrimination, culture and belonging elucidates the little-known systematic removal of indigenous children throughout Scandinavia during the nineteenth and twentieth centuries. There is some lighter stuff in there too. Documentary Magnus dissects the rise of Norwegian World Chess Champion Magnus Carlsen, and Swedish adventure/mystery Room 213 has even been thrown in the mix for the kids. So stay warm and get along to this coolest of festivals. Festival programs available at Palace Electric Cinemas, New Acton, located downstairs in the Nishi Building. Keeping in theme, if you’re keen to harness the hygge and sample some smørrebrød, head along to RYE in Londsdale Street, Braddon – to my knowledge, Canberra’s only purveyor of the scandwich.